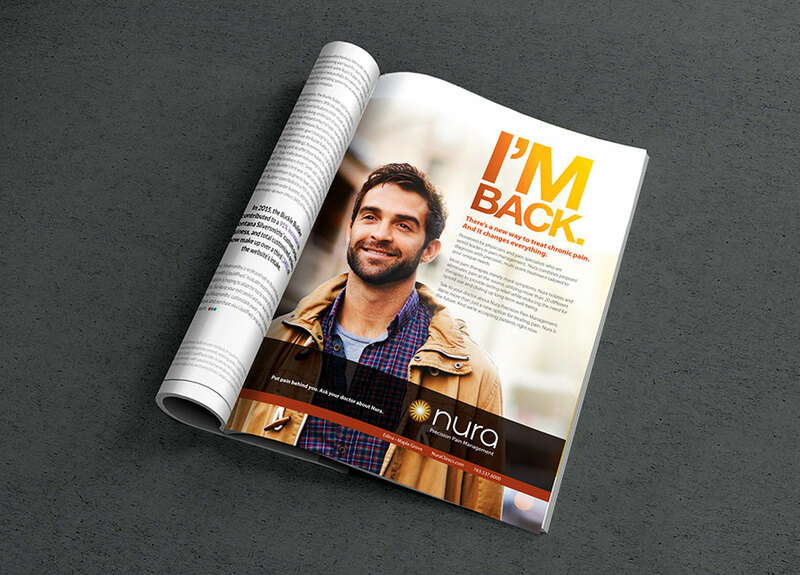 The branding engagement for Nura came with clear mandates: Convey the optimism and hope that this chain of clinics offers those suffering from chronic pain; raise the profile of pain management as a mainstream medical specialty; and call attention to a key Nura differentiator – its precision, multipoint approach to treatment. The first order of business: creating a logo and descriptor that communicated essential information about the brand. The graphic symbol suggests Nura’s focus on identifying pain at the source and attacking it at every point of vulnerability. It also communicates that a new day has dawned for patients beset by pain and, perhaps, opioid addiction. 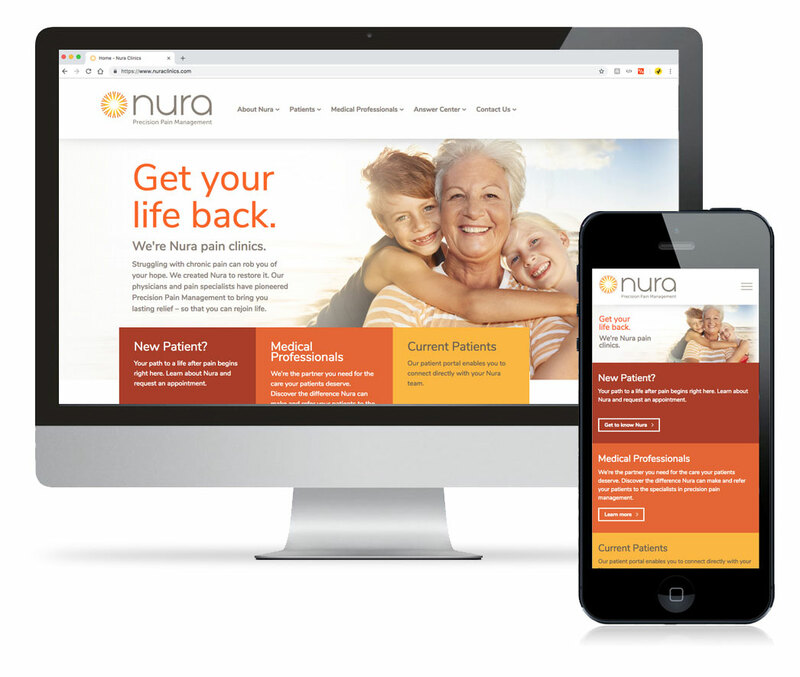 Supervox established look and feel for the Nura clinics website, wrote the copy, and assisted with site organization. 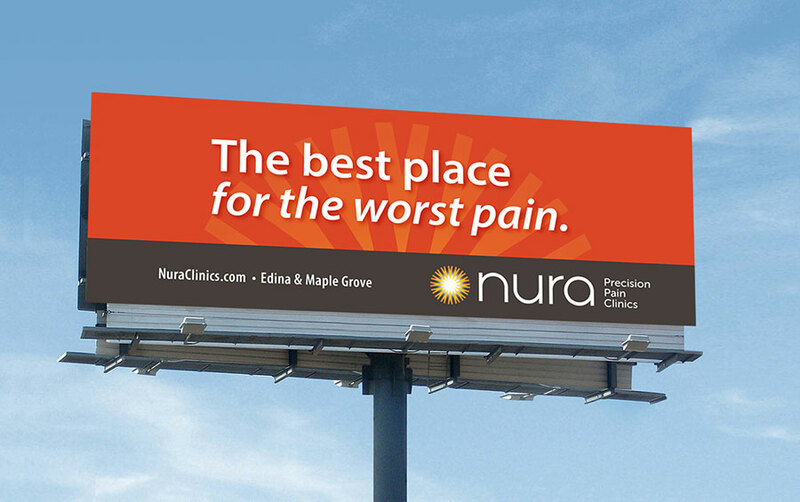 We helped launch the brand with a high-visibility billboard campaign localized around clinic locations. Building architecture and signage gives Nura clinics the visibility and stature of a well-established medical specialty, countering the stigma that some patients still believe is attendant to pain management. 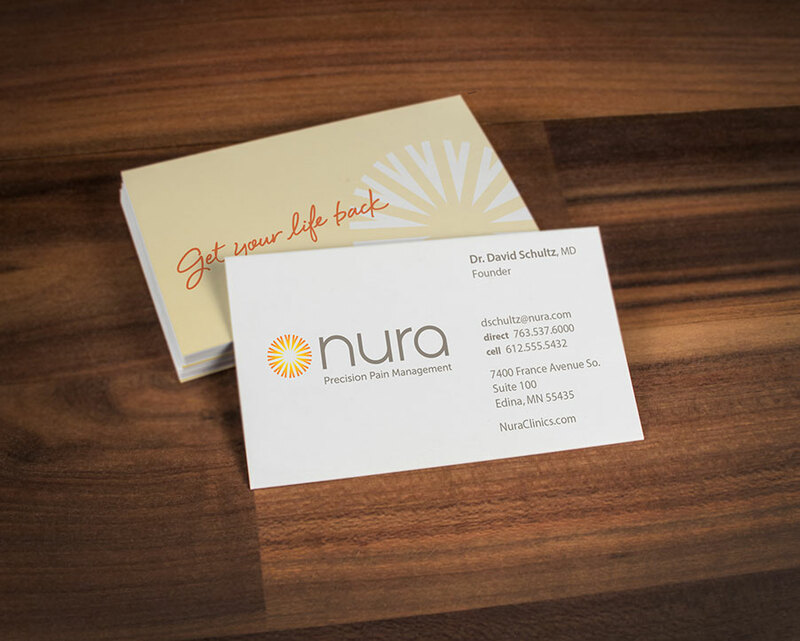 Business cards convey essential information about Nura’s mission to help patients get their lives back.